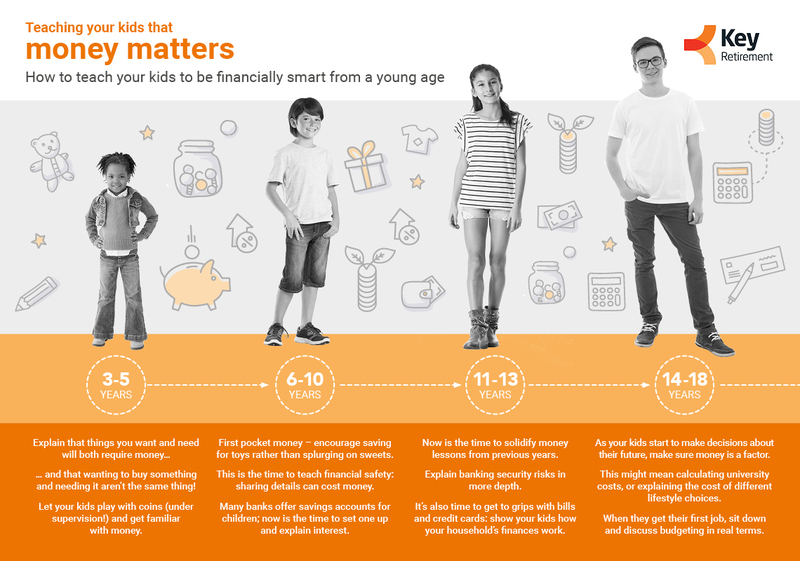 From toddlers to teens, teaching kids about money in the right way will help them throughout their lives. We've put together an easy infographic which covers some of the most important things to teach your kids or grandkids at every age. So if you're thinking of helping your grandchildren out with a financial gift then why not make it a learning opportunity, too?